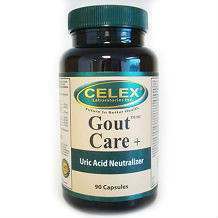 With the use of Gout Care, produced by Celex Laboratories Inc., you can expect the level of uric acid in the blood to be lower, which makes it a preferred choice in the maintenance of an ideal state of health and in gout treatment. If you have a high level of uric acid, this is going to make you a more likely candidate for suffering from gout, which is why it is important for such to be properly managed to avoid joint pains, swelling, and inflammation, among others. Problems like uric acid production and crystallization are the main targets of Gout-Care, allowing it to lead into the full restoration of gout health. Unlike commercially available antibiotics and other prescribed medications, Gout-Care uses a natural formulation, which is why it is generally safe to take. Garlic: Known for being a natural purifying element for the blood, it works by attacking the uric acids in the blood, and hence, lowering it. Milk Thistle: Considered as a liver tonic, this ingredient is basically responsible for strengthening not only the healthy functioning of the liver, but also its ability to regenerate and heal on its own to prevent a wide array of associated health problems. A healthy liver is essential to be maintained as it results into its natural ability to trigger uric acid breakdown and have it expelled from your system. Turmeric: The curcumin that is found in this ingredient is beneficial in the inhibition of prostaglandin synthesis, which is responsible for providing a painful sensation as a result of inflammation. Yucca: The ammonia-binding properties found in this ingredient allow ammonia to be excreted into the feces directly, preventing such to be turned to uric acid by the liver. This ingredient is also popular for its ability to help prevent degenerative connective tissue disorders and inflammatory conditions, amongst other gout symptoms. 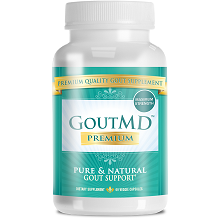 As instructed by the manufacturer, adults should take 2 capsules of Gout-Care daily after meals. Sadly, pricing information of the product is unavailable in any website. You cannot also have it purchased online. For your peace of mind, it is important to note that the product is manufactured in a facility that has been approved by GMP and in accordance with the policies of the Canadian Health Regulations. However, the manufacturer does not offer a money-back guarantee if you are unhappy with its use. You will also not be allowed to have it returned. Because of the lack of information available online, including its price and testimonials from other users, it is quite hard to put your trust in a product like Gout-Care. Although it is a natural alternative for gout treatment, there is no assurance that it will work.